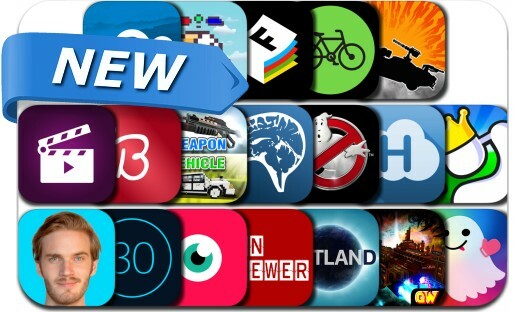 This new apps alert includes Battlefleet Gothic: Leviathan, Ghostbusters: Slime City, Super Stickman Golf 3, Folioscope, FilmStudio - Video Effect & Video Mirror + Collage & Video Slideshow Editor, Pewdiebot, Vehicle & Weapon Mods, Beaumoji, Auto Warriors and many others. FilmStudio is an easy film video editor with comfortable editing options, filters and many other effects for your videos. FEATURES 1. Combiner: Merge multiple clips into one. 2. Collage 3. 80 + Video Effects 4. Trim: Cut out any unwanted moments.